Beginning with a very warm welcome from your hosts on arrival, you are assured of the very best in self-catering holiday cottage accommodation. 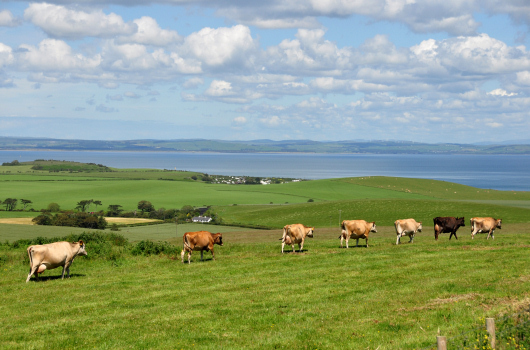 You can see, experience and learn about life on a working beef and dairy farm or just relax in our luxurious and immaculate self-catering accommodation, all with spectacular sea views... the choice is yours. Whether you prefer a cosy traditional Galloway cottage or a contemporary new property, we have accommodation to suit all tastes, budgets and family sizes. 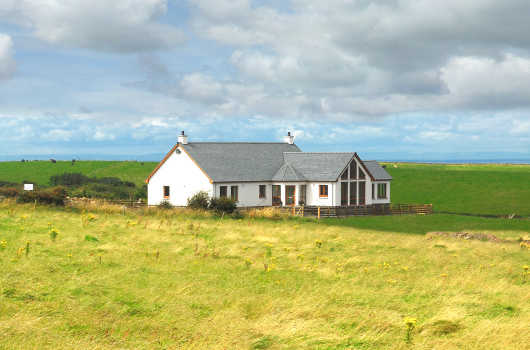 Whichever holiday cottage you choose, you will not be disappointed with the magnificent views, cosy log-burners and the peace and tranquillity of this very special part of south-west Scotland. Dumfries & Galloway is blessed with many beautiful beaches. Opportunities for walking, cycling, fishing and golf are plentiful, all helped by our very mild gulf-stream climate, which helps to make this an all year round holiday destination. Our holiday cottages are set in a lovely rural location close to Scotland's most southerly point, surrounded by open farmland with grazing cattle and opportunities to see plenty of wildlife, including birds of prey hovering over nearby fields. You will surely want to explore this beautiful part of Scotland, where you will discover ample activities to fill your days. 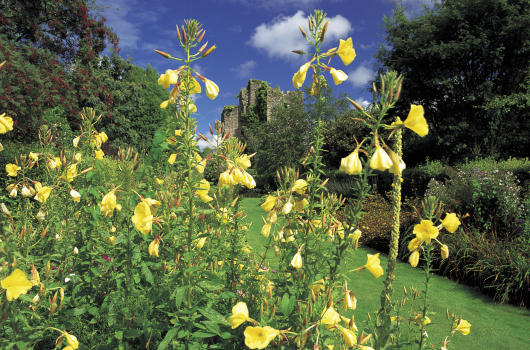 Our local gardens, made possible by our mild climate, are one of the main draws for visitors; these include Ardwell House, Castle Kennedy Gardens, Dunskey and Logan Botanic Garden. 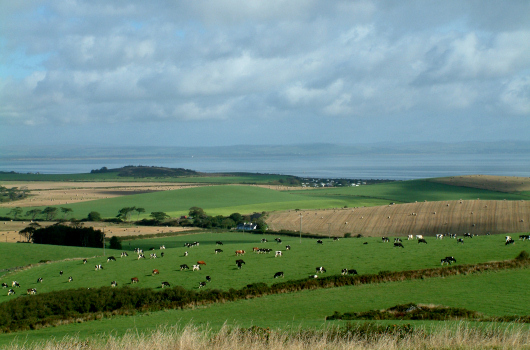 The Mull of Galloway, with its lighthouse, cafe and spectacular cliff-top sea views, is another popular day out. Portpatrick, with its pleasant harbour, gift shops and tea rooms, is just a short drive away, as is the village of Port Logan, where you find beaches and rocky coves to explore. And when your day's sightseeing is done, you will appreciate returning to the warmth and comfort of your holiday home-from-home. All our holiday cottages include free Wi-Fi for use with your own laptop, tablet or smart phone. You can view our prices and availability on-line. If you have any questions or wish to make a booking, please contact us by email or telephone.